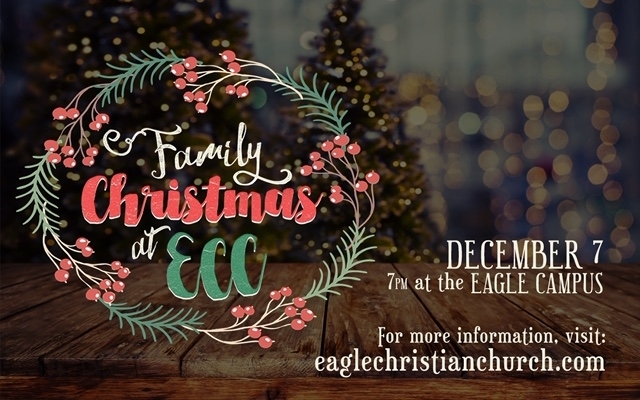 Christmas is coming – and at Eagle Christian Church, we want to help your family get into the holiday spirit! On Friday, December 7, at 7 PM, join us for an evening of music, comedy, food, and games – plus a variety of photo booths for fun family snapshots. Recording artist Jaime Thietten will be our special musical guest. The event is free, but you’re encouraged to bring a new, unwrapped toy to be donated to the Boise Rescue Mission. It’s going to be a highlight of this Christmas season, so don’t miss it!